Made from PVA mesh material, light and easy to carry two bottles of wine. With stitching the same colour as the PVC mesh material, this gives it a stylish look. 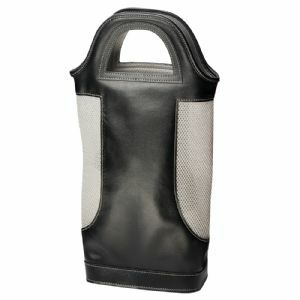 It has a EVA divider which is sown into the bag this prevents the bottles from rubbing together.